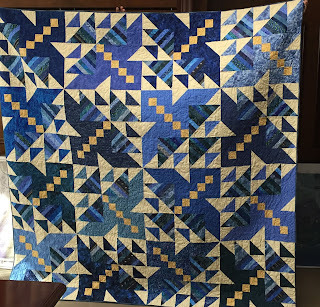 As I begin the wings for a light-medium blue Thunderbirds Quilt -- baby size -- I looked back at my earlier versions. The Red/White colorway was to be mine, although my husband has taken possession (the guy who loves everything blue). 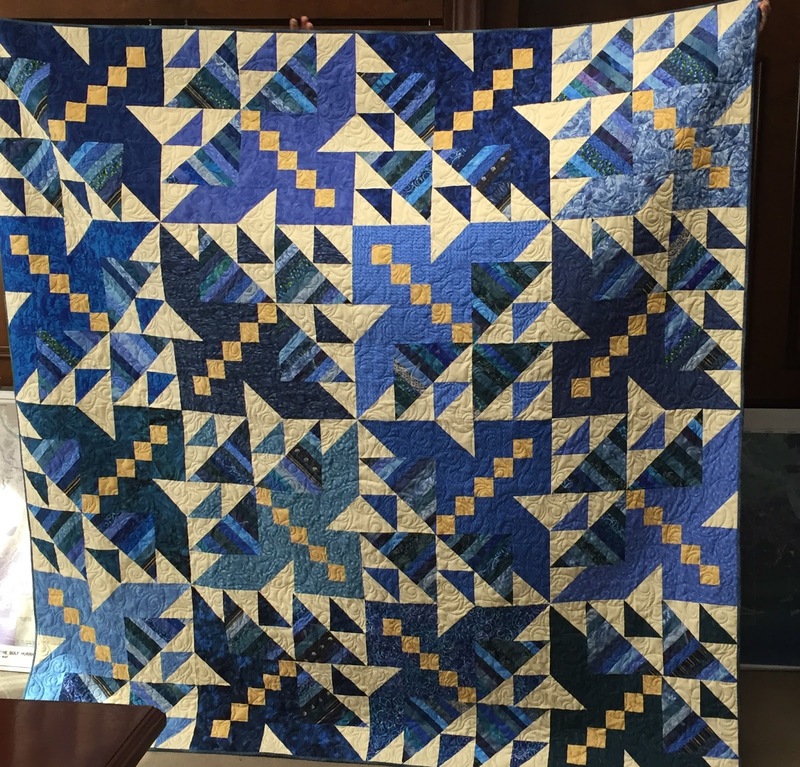 The blue/white below was gifted to a retiring friend. 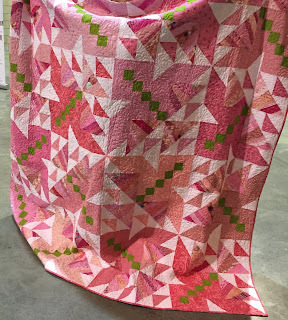 This cute pink/white with accents of green was donated to a fund raiser for Breast Cancer Awareness (Loved this one). The scrappy multi color version headed to Texas to raise funds for my nephews baseball team -- also made a multi-color batik version for the Cover Shot of the pattern, now traveling with Black Cat Creations. And....if you don't like using scrappy "strings" for the wings, use a stripe fabric.